Whether protecting your family with a Concealed Carry permit, or simply at home late at night, insurance from USCCA can give you an extra measure of "peace of mind." PetersburgIL.com is the original web site to be focused on the historic Central-Illinois city of Petersburg, which is the county seat of Menard County, IL. 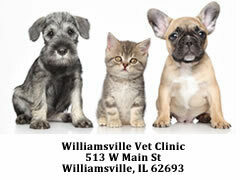 Our web site has served Petersburg and the Menard County Illinois area since 1997. Petersburg blends the old and the new into a place that is a great place to visit and a great place to call home. Petersburg and all of the other Menard County towns are close enough to Springfield Illinois to enjoy the resources of the city, yet far enough away to retain the small-town charm that draws tourists and new residents alike to our area. The "Furniture Den" furniture store has opened within the historic Smoot Hotel. The "Corner Cafe" has a new menu and new management in the building formerly known as the "Plaid Rooster" along the highway side of the square. The new "Los Rancheros" Mexican Restaurant has opened on East Douglas Street. New Web Server For PetersburgIL.com - We are currently in the process of changing web servers and updating our content. Check back soon to watch our progress! Menard Archers Finishes Up 2018 Public 3D Archery Events- The club will wind up the 2018 3D Season with two events in September that can prepare archery deer hunters for the October 1st Illinois Archery Deer Season. The public events will be held Sunday, September 9, and Sunday, September 23rd. The club has thirty 3D targets set up depicting realistic archery hunting scenarios at their range, which is located next to the west edge of New Salem State Park along State Park Drive. Club membership primarily is drawn from Menard and Sangamon Counties, but archers from all over the state of Illinois come to participate in their public 3D shoots. The Menard Archers currently meets on the first Wednesday of each month at 7 pm. For more information, check out the club web site at www.menardarchers.com. Local Recording Artist Recognized - At the age of 15, Taylor June Trousdale started to perform at Fairs, Festivals, Opry's and many other venues under the name of just "Taylor June." She then joined the Illinois Country Music Association, and performed in a variety of events. In 2010, 2011, and 2012 she received "Songwriter of the Year" in the youth category, and also received an award for "Female Entertainer" in 2011 at the North American Country Music Awards International. She has recently released a new major project. 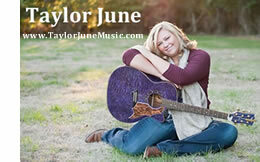 You can find her music on iTunes, Reverbnation, Bluestream Records, and other national music sources. Menard County Fair - The 162nd Annual Menard County Fair was held in July 2018 at the Menard County fairgrounds. Menard County Fair Special Events typically include a Talent Contest, Demolition Derby, Kids Activities, Antique Tractor Pull, Tractor & Truck Pull, Truck Show, and a Mud Bog & Dash for Cash. The Menard County Fair also offered a wide variety of judging competitions, food & drink items, and a carnival. Specific details of the Menard County Fair are available online at www.menardcountyfair.com, or from the Petersburg Observer newspaper office. Tourism: For tourists and other visitors, Petersburg and Menard County are nationally known for a great antique shopping experience, as well as proximity to several historical sites such as Abe Lincoln's nearby New Salem State Park. New Salem is the local log cabin village where Abraham Lincoln lived and worked as he prepared for his role in changing the course of our national destiny. As President (1861-1865) of the United States, Lincoln guided our country with the knowledge and wisdom that he had developed here on the banks of the Sangamon river. For our residents, Petersburg and the surrounding area combines a vibrant business community, beautiful scenery, an excellent school system, and progressive governmental services into a great place to live and work. Sportsmen especially appreciate the abundant wildlife and outdoor recreational opportunities at local areas such as nearby JEPC (Jim Edgar State Fish & Wildlife Area) where hiking, hunting, and fishing opportunities abound. Their regular open store hours are Monday - Wednesday Noon - 6 pm, plus Thursday & Friday 1 pm - 5 pm. New Salem Firearms is an independent Federal Firearms Dealer (FFL) and gun store serving Menard County and the surrounding counties in Central Illinois. (Sangamon, Cass, Mason, and Logan Counties) They buy, sell, trade, and consign a wide variety of firearms. 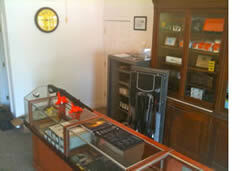 Other products for sale include ammunition, optics, targets, magazines, holsters, and gun cleaning supplies for proper firearm maintenance.